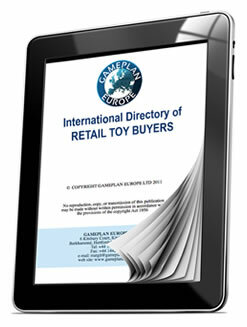 This directory enables you to identify and communicate with toy buying departments in more than 800 of the world's leading retail chains in 48 countries. To comply with EU GDPR legislation no buyer names and email addresses of buyers are listed in the countries of the EU. In countries not affected by GDPR legislation we continue to list names of buyers by category and email addresses. In addition it now includes full contact details for more than 200 US Toy Buyers from 130 different retail chains with a total of 85,000 stores. The US toy market is worth $25 billion, which is nearly one third of the global toy market value. Our directory allows you to get all toy buyers in one list, covering over 95% of the market value of the US toy market, including mass merchandisers, supermarkets, sporting goods, craft, book and many other channels which carry toys. The directory also gives a brief comparative description of each market. the market values are in many cases advised estimates, because most countries lack reliable industry information and trade audit data. The market values in US $ change from year to year due to exchange rate fluctuations, as well as for reasons of market change. We also revise our estimates if we receive more credible information. For EU countries the market values include VAT (a sales tax) which is as high as 22% in some countries. The database is available on CD-Rom by post, or instant download. The CD Rom includes all the addresses in an Access database format and an Excel spreadsheet of the email addresses, but it does not portray the data as in the printed book or the PDF downloads.